Do you find it difficult to find things for your family to do in the summer that are meaningful and motivating after the kids have been out of school for awhile, or on break? If you home-school, do you spend a lot of time searching for new innovative approaches to help your kids learn? Are they asking for screen time? Is it difficult coming up with creative ideas to keep them busy? Summer is a time to relax, have fun and play, but how about serving and learning with a lot of FUN involved to beat the summer heat and have a blast along the way? 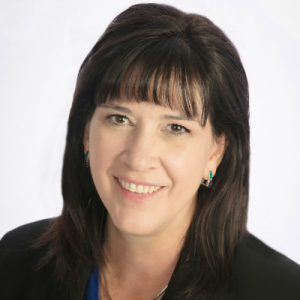 I have TEN ways to SERVE while LEARNING valuable life skills, in a hands-on-helping-others kind of way. With each of the 10 activity areas, there are one or more suggestions of what to do in that topic, along with a brief description of the ‘Learning’ so you can discuss what the purpose of that activity was afterward with your family to reinforce why it was done and the benefit gained. 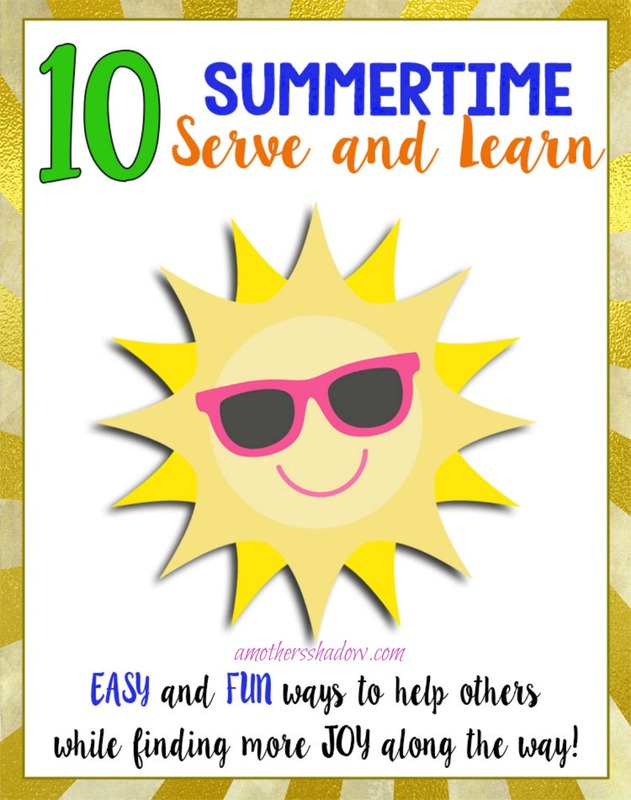 10 Summer Time Serve and Learn is part of my JOY BUCKET series. I hope you will join in and let us know what you are doing to participate. There will be weekly prizes over the next FIVE weeks as we participate in this worthwhile activity. Go on a walk in your area, and take along a bag. Pick up any trash you come across (tip: wear disposable gloves); it will make a huge difference to make your neighborhood nicer. Learn: We live in a beautiful and special world. By keeping it clean we can appreciate miracles all around us even more. By feeding the birds, we can watch them close up and enjoy their amazing colors and how they fly. Learn: Playing is important at any age and we need to make sure we take time to have some fun. Write at least one thank you card using one of the free download cards in the post above, or one of your own. Weed their yard, or other yard work. Ask what they might have a need for that you are able to do. Learn: By visiting those who are elderly or unable to get out we are showing compassion and kindness. Those are some of the most important skills we can learn. Learn: It’s hard to move to a new place and have to meet people sometimes. When we reach out to others we are making new friends as well as helping them feel comfortable in their new neighborhood. By taking a treat to those you already know, but haven’t talked to in a while, makes your neighborhood and community stronger. Eat dinner together and have a conversation without technology. HERE are free dinner conversation tags to make it easy and fun. Learn: Technology is a great thing, but too often it gets in the way and we don’t take the time to talk to each other, even in our own family. This is a perfect way to learn new things about each other in a natural and creative approach. Fill out a Family Tree – I have two different styles for you HERE to choose from. Get to know a family member better by visiting in person, or skype. Learn: With your child learn who their family tree members are as they fill out one, or both of the styles of Family Tree’s. Fill one out yourself if you haven’t before and ask living family members in your Family Tree to share an inspiring experience they had, or one they learned a valuable lesson from that you may not have known. Knowing our family and their life is so important because it connects us to our past and helps us understand our self also. Make a SUNSHINE GIFT with all yellow items and the fun printable tags I have for you in THIS POST. You can use a SunShine gift to help someone who is having a difficult time or needs cheering up anytime. It can be very small, or more elaborate, but something for someone to make their day better; you’ll see many ideas in the post. Learn: As you reach out to others who need a lift, support or a kindness, you will be amazed at what it does for you! Sun Shine spreads it’s rays far and wide, warming everything in it’s path. Just as you share a SunShine gift of any size or type, it will not only bring joy to them, but overflowing happiness to you also. Click on this download link for information about the Unita Basin Healthcare and the needs they are currently in need of. Learn: It’s natural to think of those less fortunate at Christmas and other holidays, but the need is there all year long. Scheduling even an hour or so to make needed items, or take food to the local shelter, sets the tone for your week and your life! 10- Wish A Happy Birthday! Fill in the Free Download Chart of when your family and friends will have birthdays so you won’t miss them and can wish them a Happy Birthday in the same post HERE! I hope you participate and share what you are doing on yours and my instagram, FB, here- where ever!! !